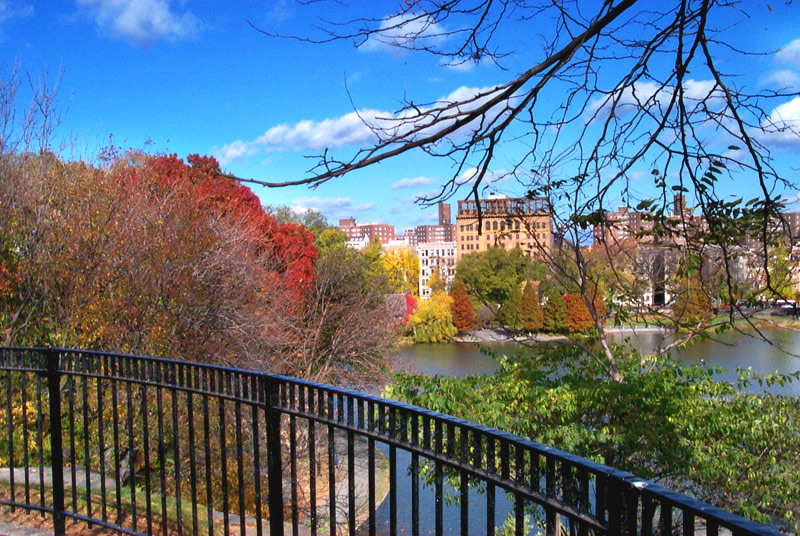 Miami In Focus Photo Gallery of Fort Clinton E107 in Central Park. 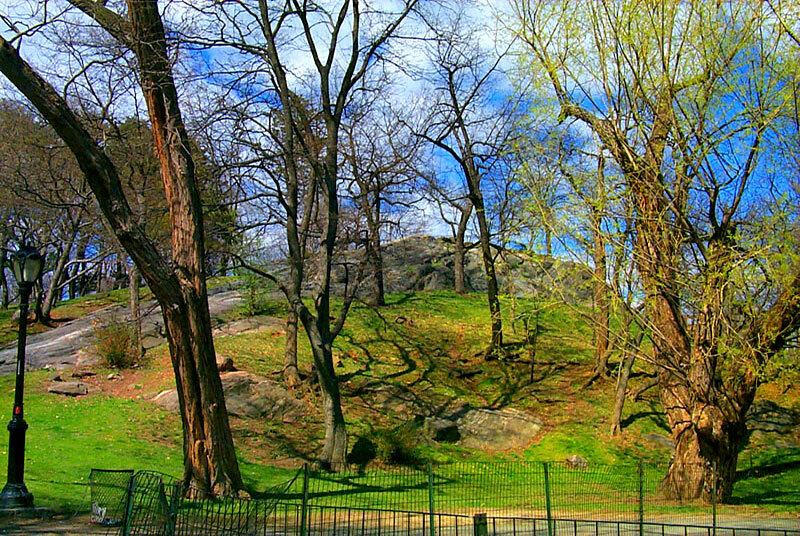 The most interesting historical site in Central Park is the remains of Fort Clinton. Formerly the site of a fort built by volunteers that was in use during the War of 1812, Fort Clinton was named after DeWitt Clinton, the Mayor of New York in 1811. 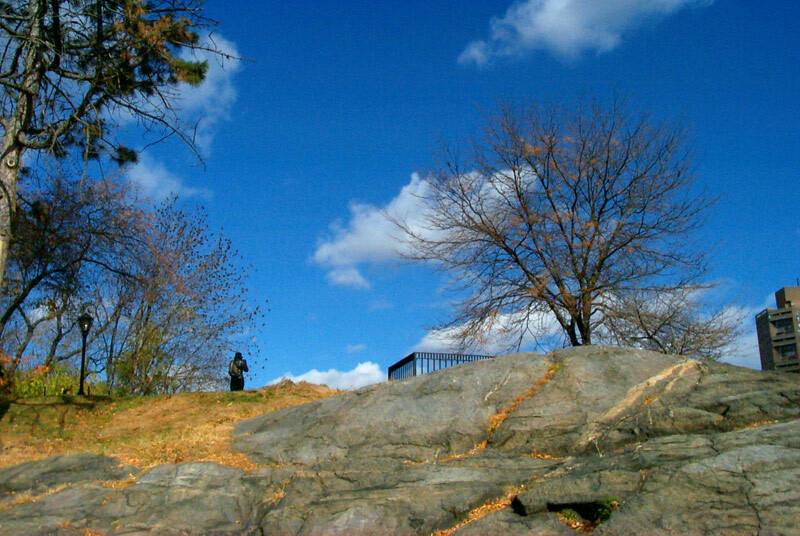 This mound, once occupied by the British during the Revolutionary War, became the site of Fort Clinton, which served as an ideal lookout for spotting the advancement of possible military forces along the pass below. No guns were ever actually fired from emplacements at this fort. 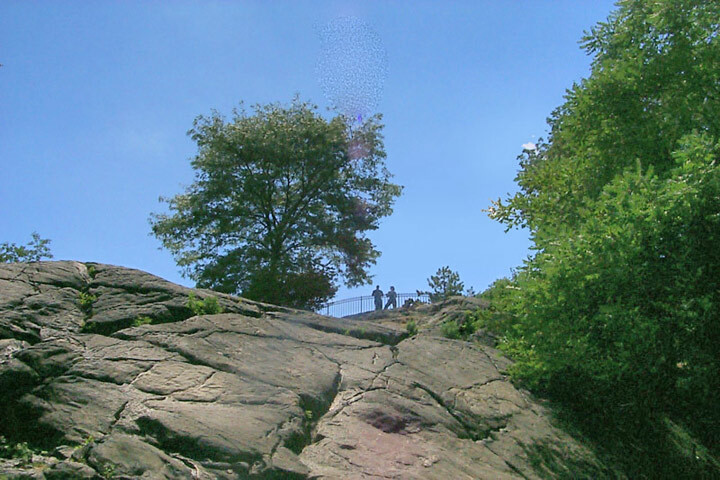 Resting on a steep incline of Manhattan schist bedrock it is surrounded by a semicircular iron railing. 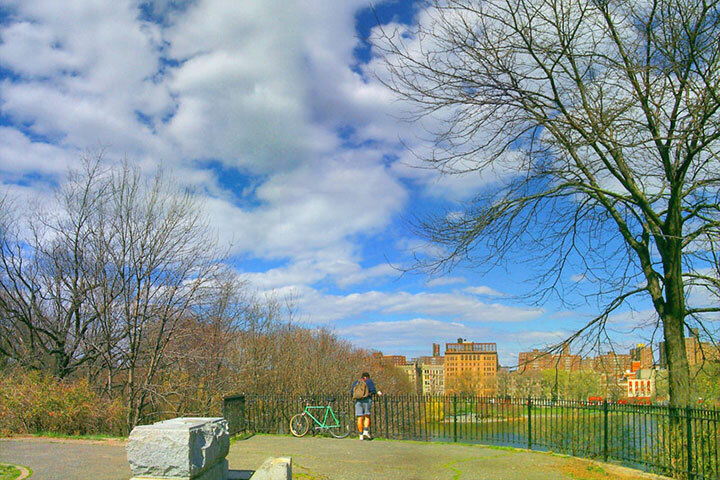 Visitors to the location can view the Harlem Meer and the landscape below from this vantage point. All that remains of the old fortification is a stone plateau and a cannon placement commemorating the site.